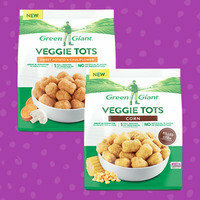 There are two new varieties in Green Giant's lineup of potato tot swaps, and (spoiler alert) they're amazing! The Sweet Potato & Cauliflower version is as delicious as it sounds, and the Corn one (our favorite in the whole line) tastes exactly like corn fritters (YUM)! We can't wait to dip the sweet potato blend into BBQ sauce and pair the corn tots with some Dan Good Chili. They’re rolling out nationwide… Check the freezer section of your local grocery store or Walmart! 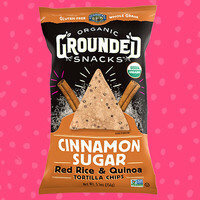 This snack was recently featured at a healthy brands showcase, and with good reason: These gluten-free crisps are terrific! The base is made from healthy whole grains and seeds, but the flavor reminds us of churros! Available nationwide, in both multi-serving and 1.5-oz. bags. 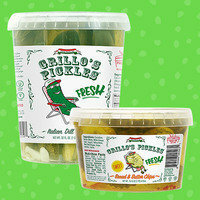 Quality pickles are always appreciated at Hungryland, and these are some seriously fresh finds! Choose from Italian Dill Spears and Chips, Hot Italian Spears and Chips, and Sweet Bread & Butter Chips... or don't choose, and just build up your pickle arsenal! Find them at most Whole Foods locations, as well as other grocery stores. 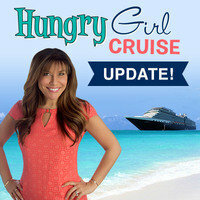 In light of this season’s hurricanes, we’ve gotten lots of emails about the status of next April's Hungry Girl Cruise. First things first: Our hearts go out to those affected by the severe weather. Wondering what you can do to help? Make a donation through the Red Cross. 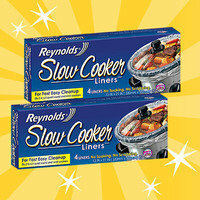 Everyone who owns a slow cooker should one-click these liners STAT! They allow for easy cleanup without soaking or scrubbing -- an especially welcome shortcut if you're cooking for a crowd. (You'll have enough dishes to wash!) These work with a variety of slow-cooker shapes, sizes, and brands, and reviewers are crazy about them. We especially like this review: "The whole reason I purchased a [slow cooker] was to simplify dinner. [These] bags add an extra bump of simplicity, by making cleanup a [b]reeze!" Bonus: They're Prime eligible. Stock up, and future you will thank you. Your pals need this brand-new information! Click "Send to a Friend" now.